Please list former STO fleets (if any): 12th, SOB, UFP and some others to far in the past for me to remember. How did you hear about the 12th fleet? I've kept reading the forums since stopped playing the game. What made you interested in choosing the 12th fleet? I still have friends in the fleet that I want to play with. In a paragraph please explain how you will benefit the 12th fleet? In the past I have served the fleet in multiple command positions. Now I just want to play with people I know and relearn the game. I was going to pass your request on to Kuvak for acceptance, but you have to make a choice first: are you requesting assignment to Tactical or MACO? 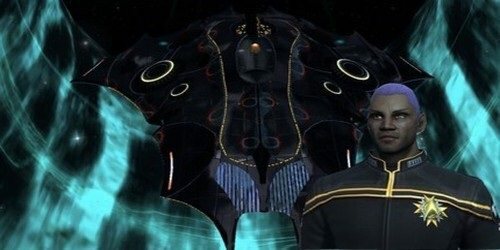 Even though MACO is a subdivision now of Tactical they are still separate entities for purposes of forum areas, squad assignments, Fleet Captains, etc. PS Of course all this depends on Kuvak accepting the transfer, which being as he has a thing against Canadians is not a sure thing. Tactical is my primary division choice. That's all it takes! Passing it on to Kuvak. Oh snap!! Sysil & Pattern together again!! I reassign you as a Commander to Gamma Squad under Fleet Captain Pattern. Don't forget to update your avatar here! Just click on Display gallery and select the Commander Division and the Lieutenant avatar. After that submit and you're done. Sysil's back, Sysil's back!!! Squad of the Month is going to be interesting lol. Welcome back!!! Ohh what has the world come to?